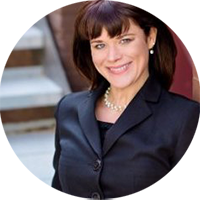 Nicole Hines is a Southeastern Minnesota divorce attorney who helps you meet your goals as you move through a difficult period in your life. Whether you are ending a marriage or want to revise a divorce decree, you need sound advice and a specialist in Family Law. Concern about legal costs, how money and property will get distributed, and child custody issues all add to the stress of the divorce process. Nicole is practical and cost-conscious with a strong financial background. She is trained in mediation, and has a Master's of Science degree in Mental Health Counseling. Her considerable training and real-world experience mean that Nicole knows how to effectively manage high stress meetings and negotiations. Nicole Hines skillfully guides you through the legal aspects of divorce, making sure that your needs are addressed and that the legal fees are kept to the minimum needed to serve you best. An able negotiator who knows the details of Minnesota Family Law, Nicole works to keep you out of an expensive court trial while helping you reach the agreement you need. Furthermore, by staying out of a trial, Nicole keeps power in your hands rather than leaving the outcome of your case to a judge. You have 30 days to provide an answer, or you could face a default judgement which would not be favorable to you. Your lawyer may ask for an extension to provide an answer, which would need to be agreed upon by your spouse’s lawyer. Once you file your answer, the court calls you and your spouse to appear, typically within 30 days, at an informal hearing called an initial case management conference or ICMC. What are Grounds for Divorce in MN? Minnesota is a “no fault” state in marriage dissolution proceedings (divorce cases). This means that there does not need to be proof or even allegation that a spouse was at fault, or otherwise did something wrong. Either spouse can start the divorce proceedings by stating that there has been “an irretrievable breakdown in the marriage relationship,” which simply means that a spouse believes the relationship is broken and it can not be fixed.